Breakfast is touted as the most important meal of the day, and that rings especially true when trying to maintain a healthy heart. According to a new study, middle-aged adults that routinely skip breakfast are more likely to have clogged arteries, CBS News reported. In contrast, those that eat breakfast are less likely to have plaque buildup in their arteries, lessening the overall risk of heart attack, stroke and other complications. People often skip breakfast because they don't have time or might be trying to lose weight. However, not eating in the morning can have effects on appetite and eating habits for the rest of the day. Breakfast doesn't have to be extravagant or intensive. Granola with yogurt and fruit; apple slices with peanut butter; and whole-grain toast are some healthy, fast options you can enjoy on the go. 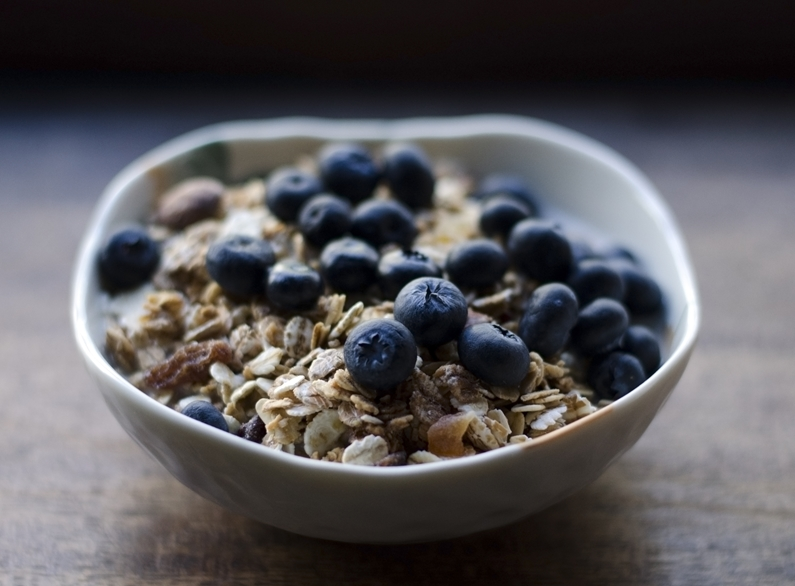 Eating breakfast can help your heart. Heart health doesn't come from a magic pill or a singular food. Regular exercising has long been known to produce benefits no matter how small the dose. It's been proven to directly increase cardiovascular strength and help heart patients live longer. According to The New York Times, you should ideally be following 150 minutes of moderate-intensity aerobic exercise a week and two 30-minute sessions of resistance training. If you're busy, even a few minutes of exercise can lead to benefits. By raising the intensity of the workout, you'll still be able to see benefits without the time commitment. In the end, a quick workout is better than nothing. "Any amount improves cardiovascular morbidity and mortality, even if it's just getting out of your chair and taking a walk," Dr. Michael Emery, sports cardiologist, told the NY Times. "[If you can't get to the sweet spot that's] not a reason to not do it because you're still gaining way more benefit than if you were sitting on the couch and not doing anything." "Meditation can decrease levels of stress, anxiety and depression." People are always looking for easy, inexpensive ways to improve heart health, and meditating could be a solid habit to pick up. A recent review by the American Heart Association found that meditation has the potential to reduce some risk factors associated with heart disease, Live Science reported. The study found that meditation can decrease levels of stress, anxiety and depression as well as improve sleep quality. Even 20 minutes of meditation can help, no matter what type you practice. Although meditation does have some benefits, there isn't enough evidence to determine its impact on blood pressure and how much it impacts the decrease of heart attack risk. People should take advantage of the potential benefit of meditation in conjunction with recommended means to prevent and treat heart disease. Cardiovascular disease is a serious risk for a wide berth of Americans, and understanding how to keep your heart healthy could make a difference in ensuring a long and healthy life. By picking up good habits like meditation, eating breakfast and exercising, it will be easy to improve heart health and receive other major benefits for your wellbeing.